Giving to Smith College is an investment in the future of our world. Our gift opportunities offer alumnae, parents, friends and other stakeholders the ability to invest in exceptional young women who, strengthened by their education, hold the power to transform their communities and the lives around them. And now, with Smith’s new strategic plan, Lives of Distinction and Purpose, you can join us as we invest in promising programs, create new initiatives and build on our incredible momentum. In addition to seeking endowed and current use support for the programs detailed below, annual support of the Smith Fund is critically important for the college. Learn more about ways to make a gift, matching gifts, and the power of endowed funds, which preserve your gift in perpetuity. For a full list of giving opportunities or to learn more about any of the opportunities detailed here, please contact Betsy Carpenter ’93, director of development, at 413-585-2052 or ewcarpen@smith.edu. With your support, Smith College is reimaging Neilson Library as a 21st-century hub of innovation, scholarship and teaching. Led by renowned designer Maya Lin, the renovation will be one of the most transformative projects Smith will experience in the next decade. Endowed professorships are a key driver of Smith’s academic enterprise and represent a unique opportunity for donors to shape Smith’s future. An endowed professorship is the highest tribute Smith bestows on a faculty member and is a key strategic investment to advance teaching and scholarship across disciplines and in new subject areas, allowing Smith to remain responsive to the needs of students now and in the future. The financing provided by endowed professorships assures stability and continuity for the faculty member and the college, and ensures Smith students have access to great minds, creative researchers and engaged teachers. 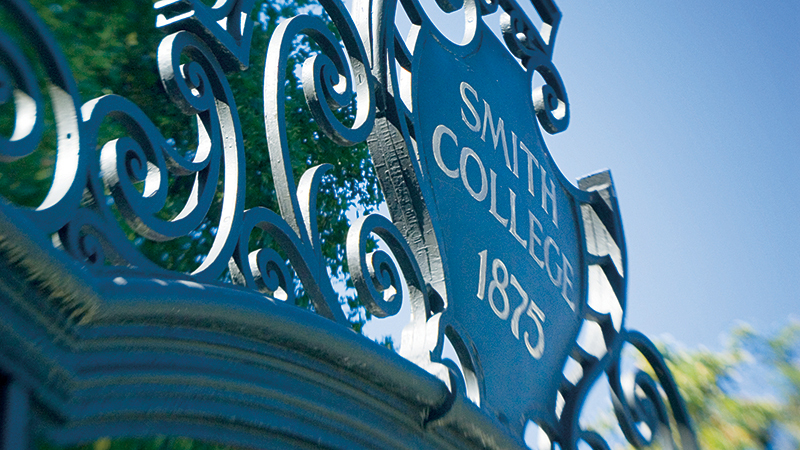 Smith College attracts the best and brightest students from around the world. They are change agents who have the power to lead governments, businesses and nonprofits—and to solve our world’s most pressing problems. But first, we must provide them with the education, the confidence and the leadership training they need to develop their passion and their expertise.